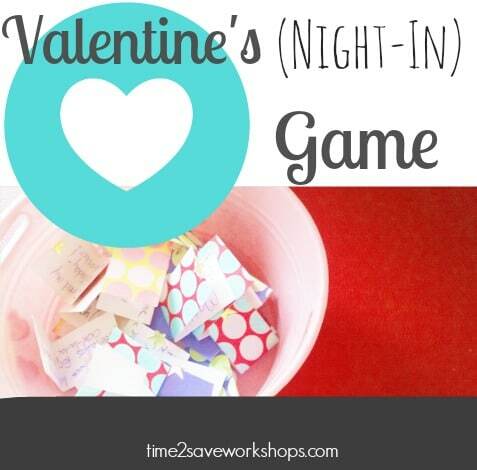 If you’re looking for a romantic date at home without breaking the bank, check out this FREE Valentine Cards Date-Night Game for a sweet and fun night in! 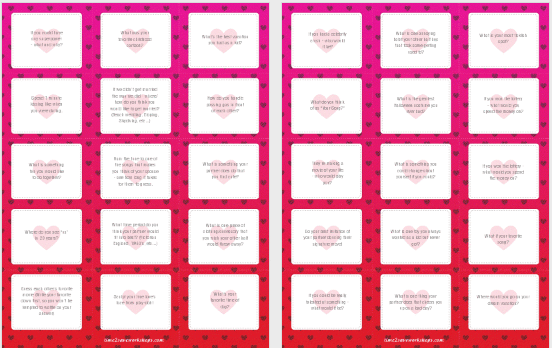 Just print out the sheet of 30 Free Valentine Cards with ideas of fun and thoughtful conversation starters. Cut them out and fold them in half, and place them in a bowl on the table. 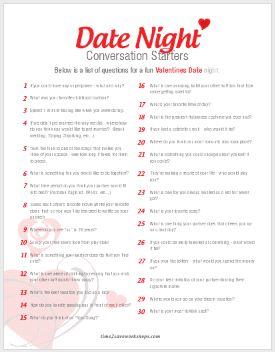 Set the scene with some music, special snacks, and get ready to learn more about each other! 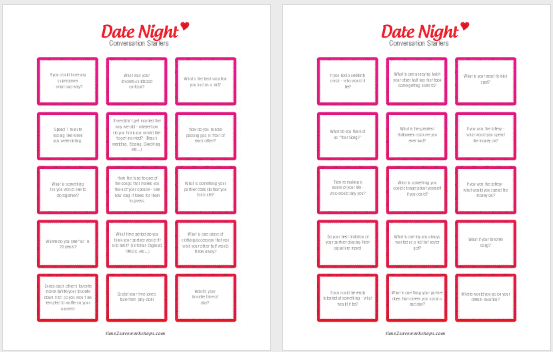 My husband and I have played this game many times since I first came up with it years ago. It was a Valentine’s Day with little kids, and no money – so we were spending it at home again.ay with little kids, and no money – so we were spending it at home again. Once we’d put the kids to bed that night, I brought out my game. We took turns drawing out a question, reading it and answering or acting on it. We had such a fun time – the game lasted for hours because many of the questions started us reminiscing about our childhood or our “early times” together. « Homemade Valentine Gifts: “Soap” You’ll Be My Valentine DIY Teacher’s Gift!